Dr. Jenny Moore received an appointment in The University of New Mexico School of Law in 1995, following her work with the UN High Commissioner for Refugees, where she served first as an associate protection officer in West Africa, then as a legal officer in Washington, D.C. In Washington, D.C., she often conducted training sessions on refugee law for government officials, immigrant advocates, and other audiences. 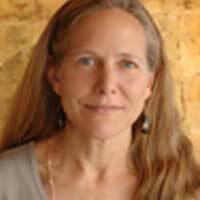 At UNM, she served as director of the Peace Studies program from 2004-2006, and remains active in the program as a member of the Peace Studies Curriculum Committee. Moore offers graduate level course within the School of Law for Latin American Studies students. Class topics have ranged from the relationship between international and national law, human rights, international humanitarian law, and regional intergovernmental organizations. Her research focuses on comparative international law and human rights, with extensive work centered on refugee issues.